Interested in Joining Competition Company? Interested in Pre Professional Program? Tickets will be available April 20th at 10:30am under the Recital Tickets Tab (will show up when available). We will have three shows on Saturday, June 1st, 2019. Show 1 is at 10:00 a.m. Show 2 is at 2:00 p.m. and Show 3 is at 6:00 p.m. All shows last approximately 1.5 hours. All dancers will remain backstage with our helpers for the entire show. Please see our Classes and Enrollment Tab to see the list of classes and their shows respectively. While we do our best to place siblings and students participating in multiple classes in the same show, this is an impossible task for us to accomplish (we have tried ;-)). We know that this makes a longer day for these families. But, it is also exciting to give siblings the opportunity to see the show from the audience, and support each other. All ticket information is under the Recital Ticket tab (which will be live for current families April 20th at 10:30am). Tickets to our show are purchased online through a third party so that we can offer reserved seating to our families. Ticket prices are $7 and $10 per ticket (your dancer does not need a ticket). 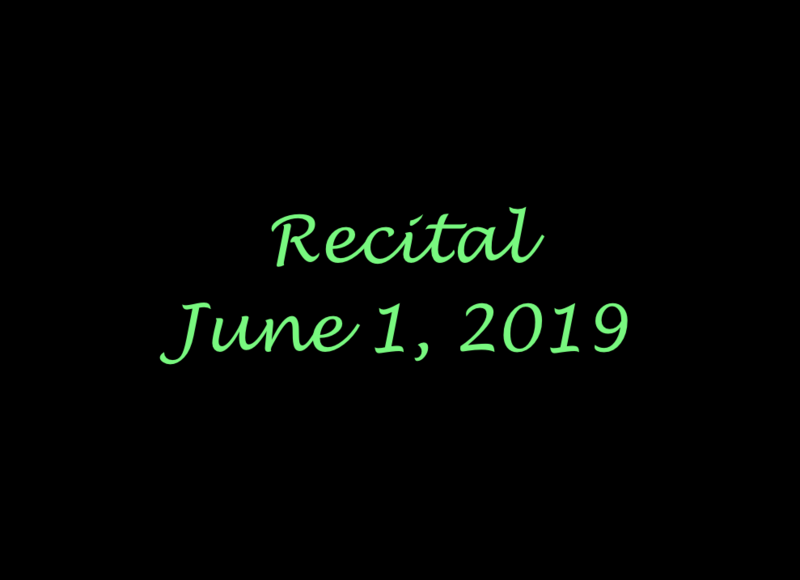 All students participating in recital are required to attend rehearsals the week of recital. These rehearsals are crucial to the success of the shows.